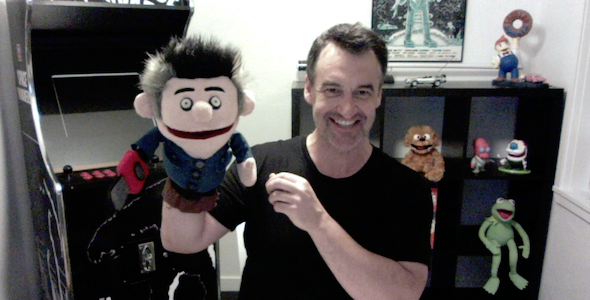 Ashy Slashy Puppet Replica Unboxing with Jeremy Dillon from Ash vs Evil Dead! You are here: NECAOnline.com » Licenses » TV » Ash vs Evil Dead » Ashy Slashy Puppet Replica Unboxing with Jeremy Dillon from Ash vs Evil Dead! Jeremy Dillon, who provided the voice and movement for Ashy Slashy on Ash vs Evil Dead, unboxes NECA’s new prop replica and weighs in on its authenticity compared to the original! Want more details on the Ashy Slashy Puppet Prop Replica? CLICK HERE. Be sure to visit the official Starz website to keep up with the latest news on Ash vs Evil Dead!